I have tried to gather trickster stories from most of the geographies with which I have had close relations. One of these is Mexico. Here opossum –or tlacuache – in folk tales is a trickster figure, but what interests me is that tlacuache is a rare female trickster. 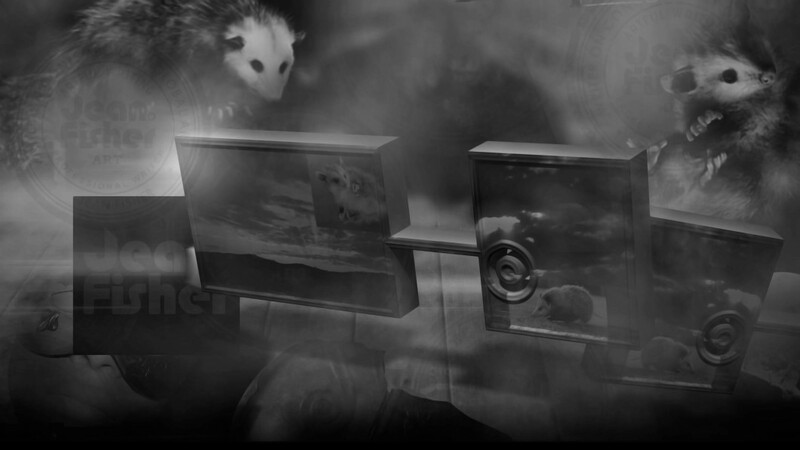 The speculation for this ‘deviation’ is that, whilst the trickster character in most tales is famously a journeyer, or scavenger of time and space, a role seemingly performed by a ‘male’ entity, the female opossum is well able to function in this role because she is a marsupial, and marsupial females carry their young in a pouch and are therefore mobile. However, the reader should be reminded that trickster is, in Native American terms, a shape-shifter, and in West African cosmology a unifier of opposites. None of my essays specially refer to tlacuache, but she is an animateuse in these essays. The definitive book on tlacuache to date is ‘The Myths of the Opossum’ by Alfredo López Austin.